So here it is, a New Year already, and many of you are getting your planners and filling them in, anxious for the myriad of opportunities that will undoubtably, cover your new horizon. (I would like to say I’m a planner but truthfully, it’s all in my head, on my phone or sadly, not at all.) However, for those of you who love to express your creativity in this fashion, I thought it might be nice to take a look at some of the great Spellbinders’ dies that coordinate so well with planner pages. There are so many to choose from but for this post, I narrowed it down to just a few, sorta…lol! I hope you like them. This page made me happy. It went together rather quickly. Thinking now I may want to personally revisit the planner pages. Did you know that Spellbinders produces a binder/planner book by Seth Apter (here), as well as the insert page refills or page die and tabs? Super cool and you can paint it and embellish it your way! 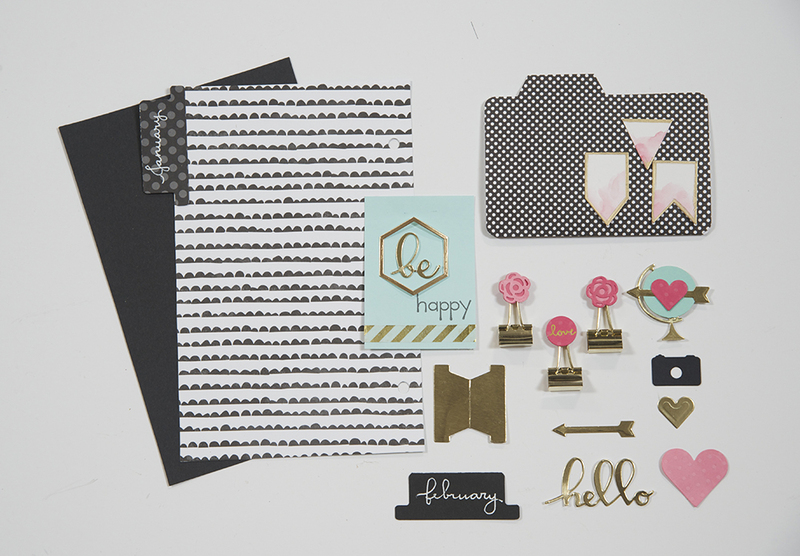 Designer Tammy Tutterow has created a variety of folders and envelopes (here) that work beautifully in the planner too! And a couple of my dies (here) add sentiments and embellishments to the pages. Here they are with all their names listed for easy access. What can you make? Are you a planner, procrastinator or a fly-by-the-seat-of-your-pants kind of person? Would love to hear what you’ve been up to! I love Debi’s style and am so impressed that she used products from so many different Spellbinders designers but made it all completely here own. Thank you Seth. I truly believe that all of Spellbinders’ dies offer a plethora of opportunities for different styles and applications. Can’t wait to play more with these. Debi…This is really lovely….The pop of color with the black is white is striking….I am lovin’ this design!!!! I am not into planners either, but I could see me applying this to a mini book or layout! LoVe! Thank you Mylissa. It’s nice to see how these can be used in lots of other applications. I would do a mini book too!